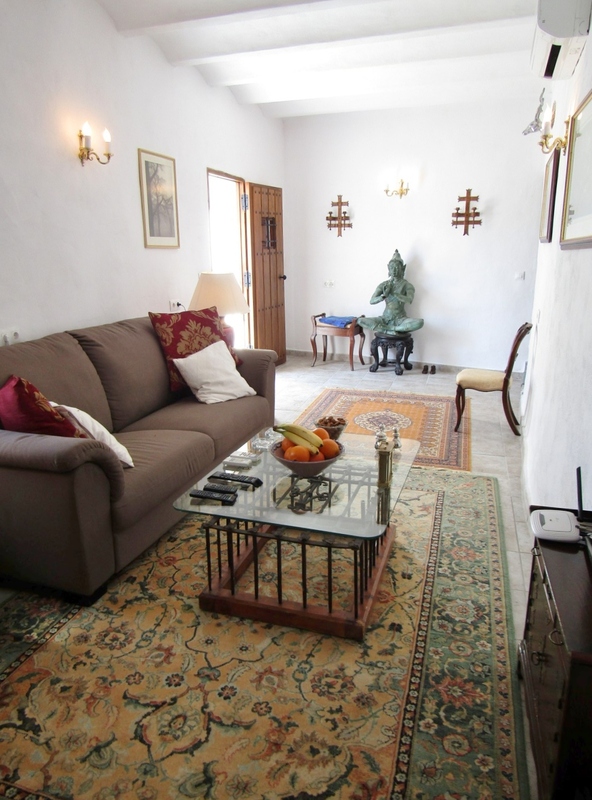 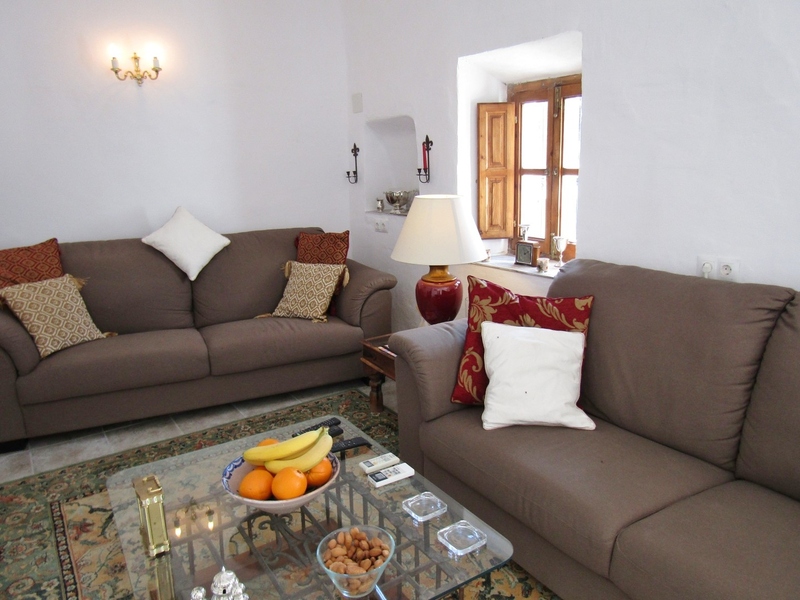 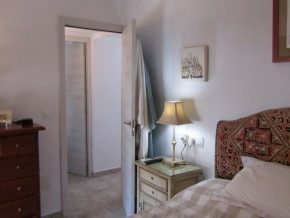 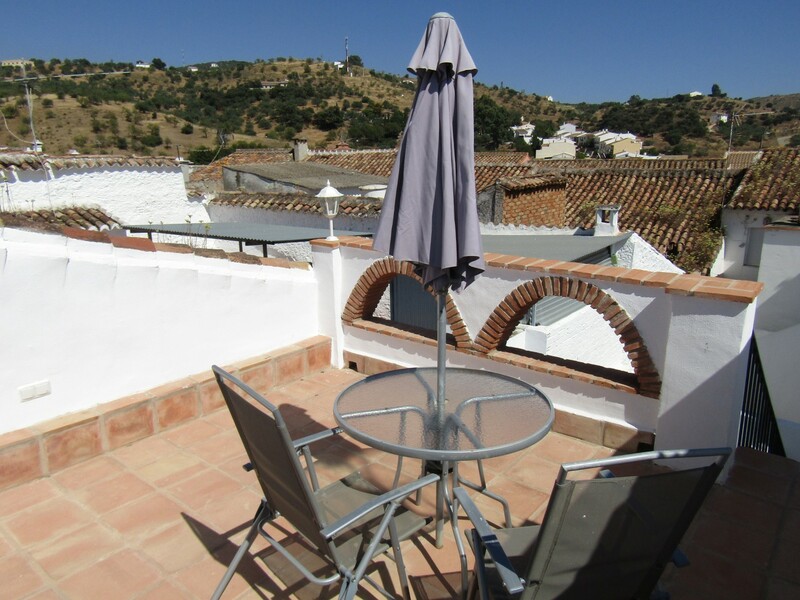 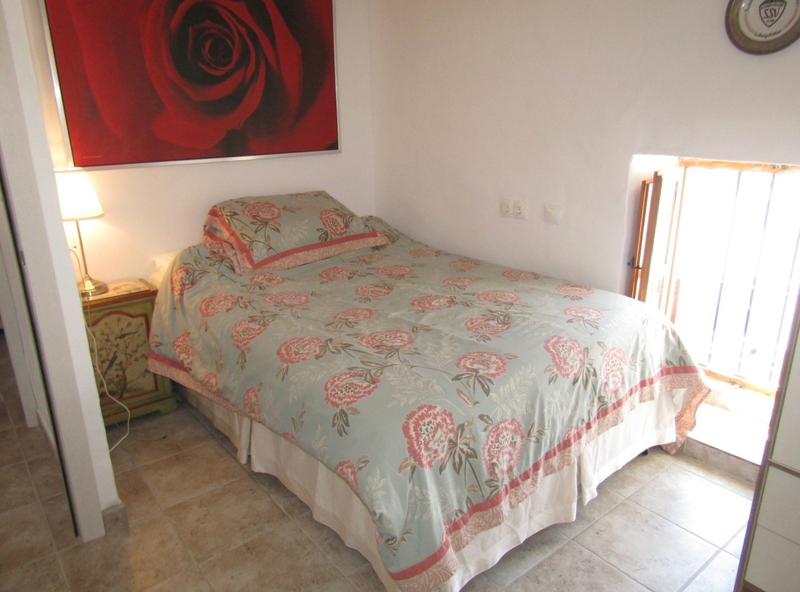 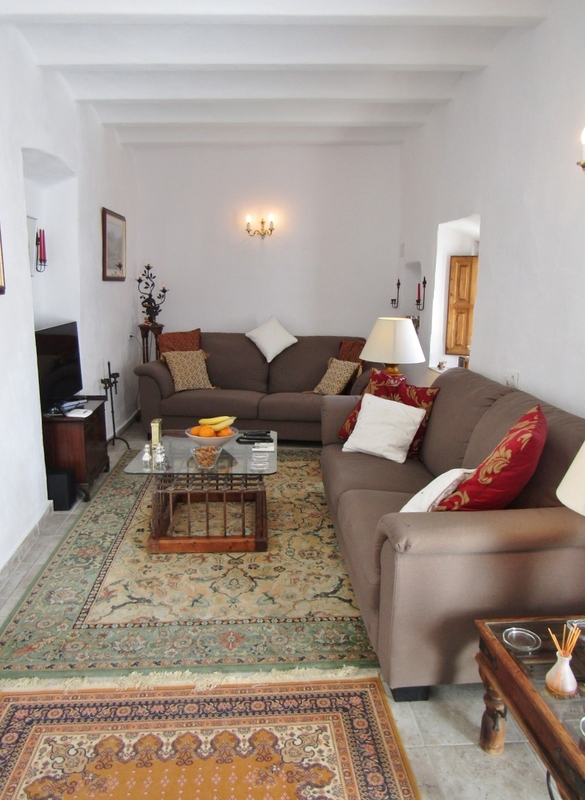 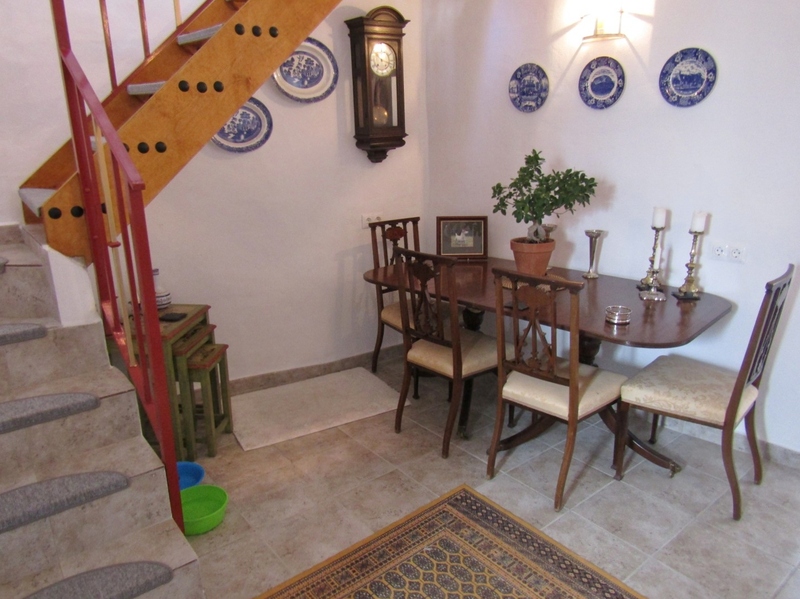 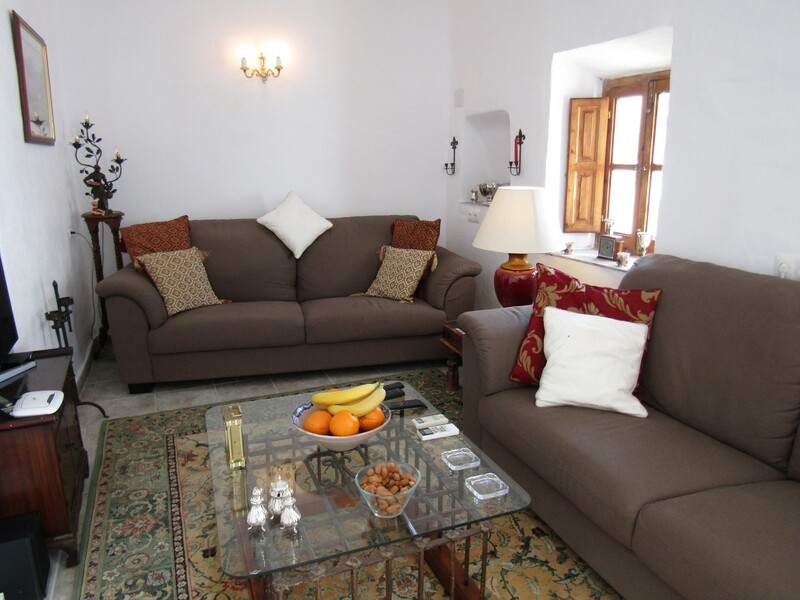 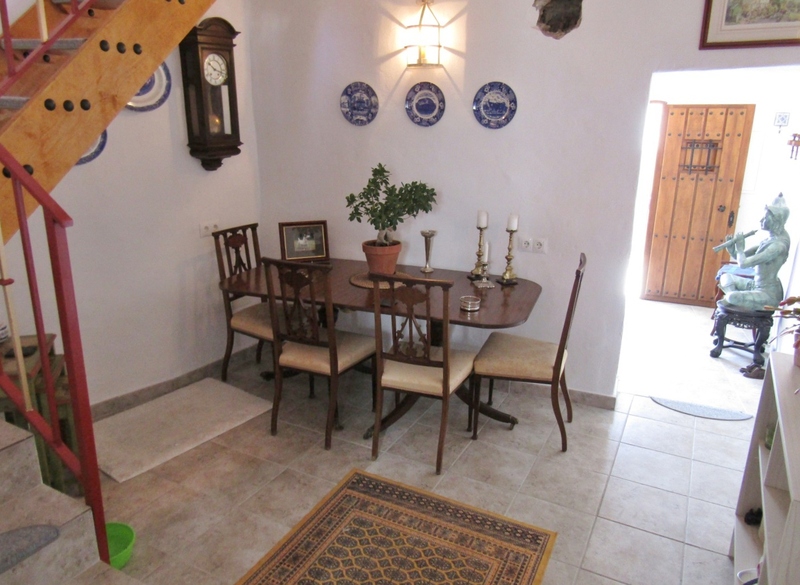 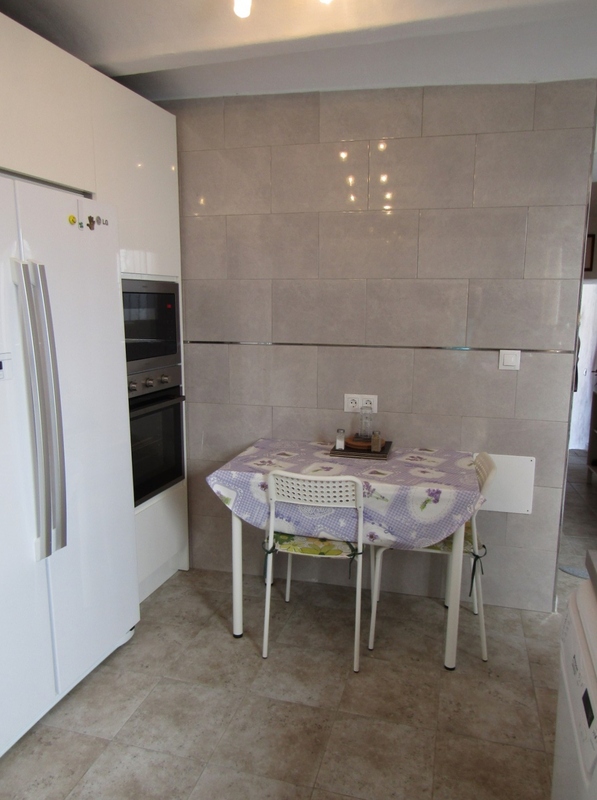 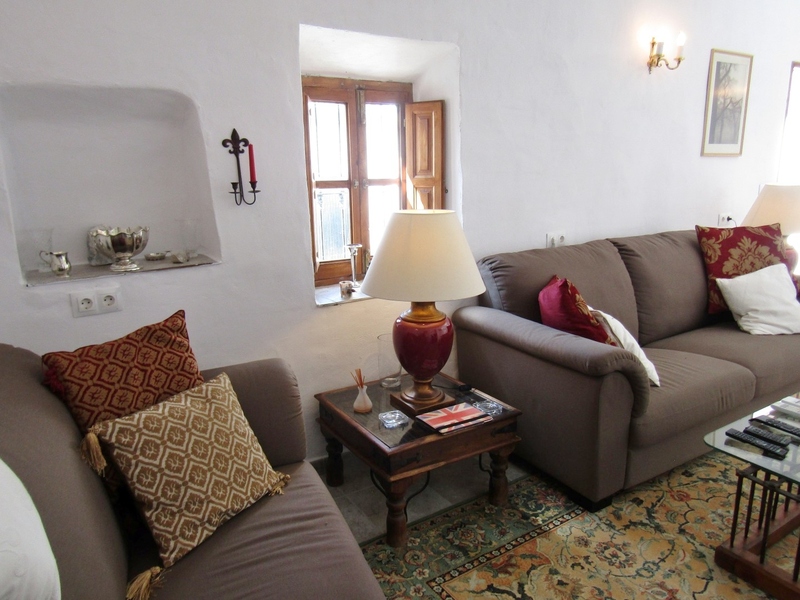 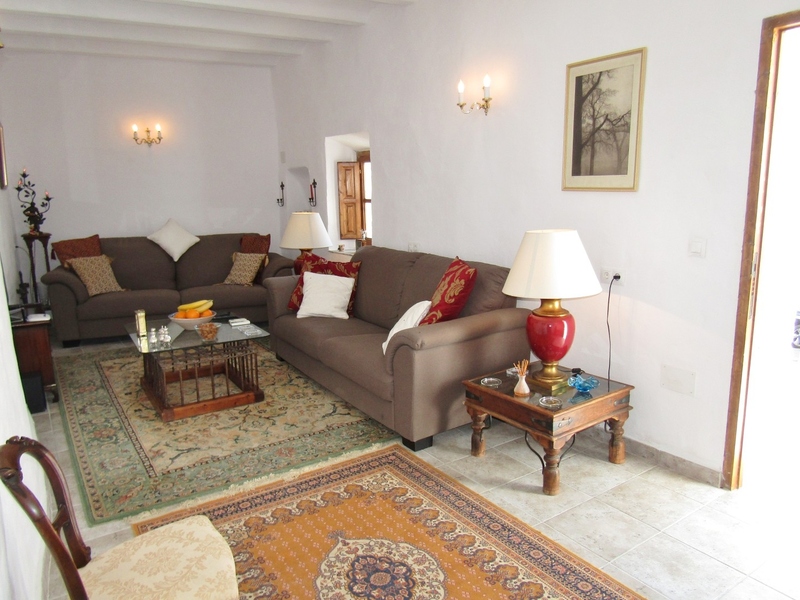 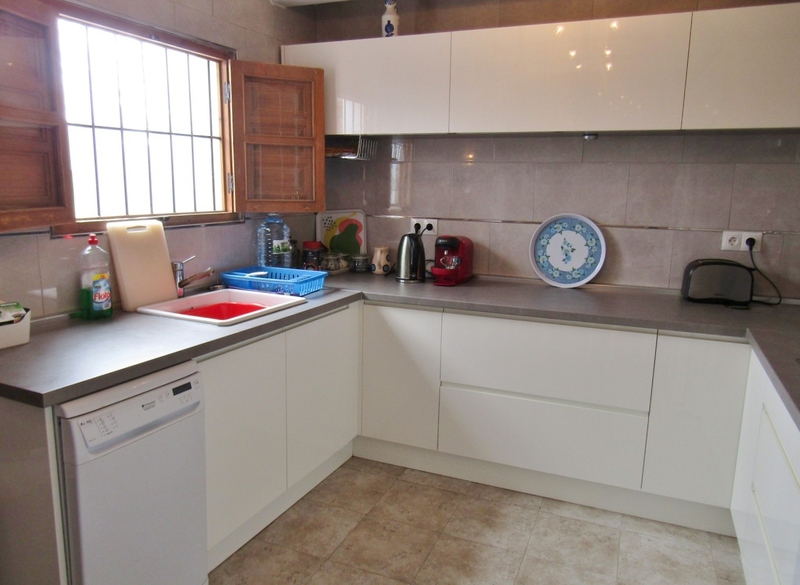 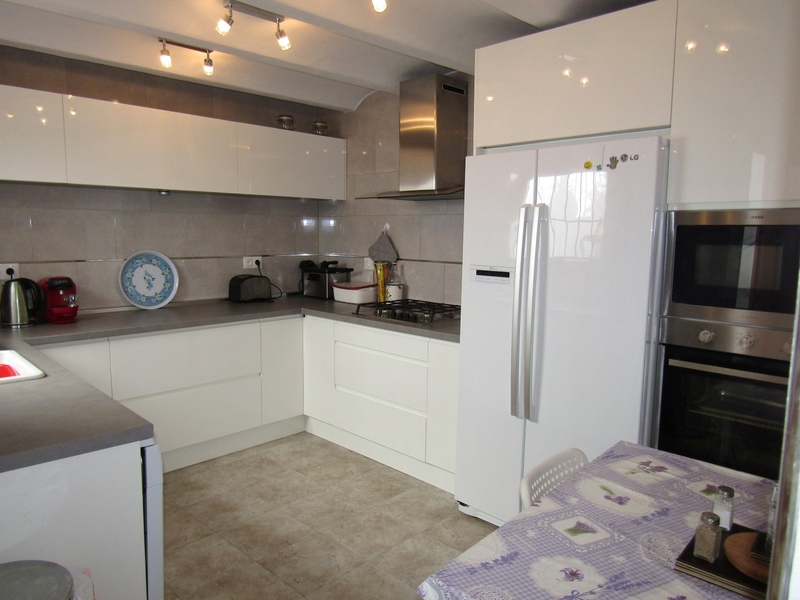 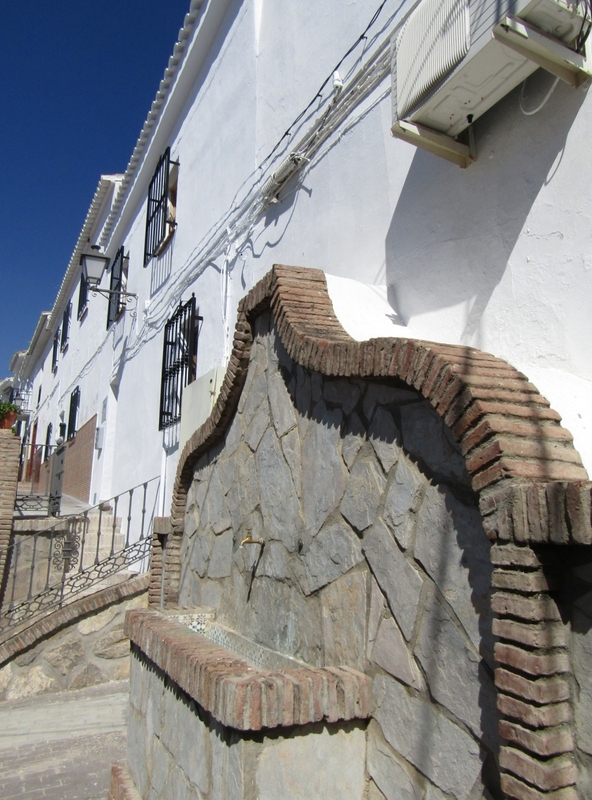 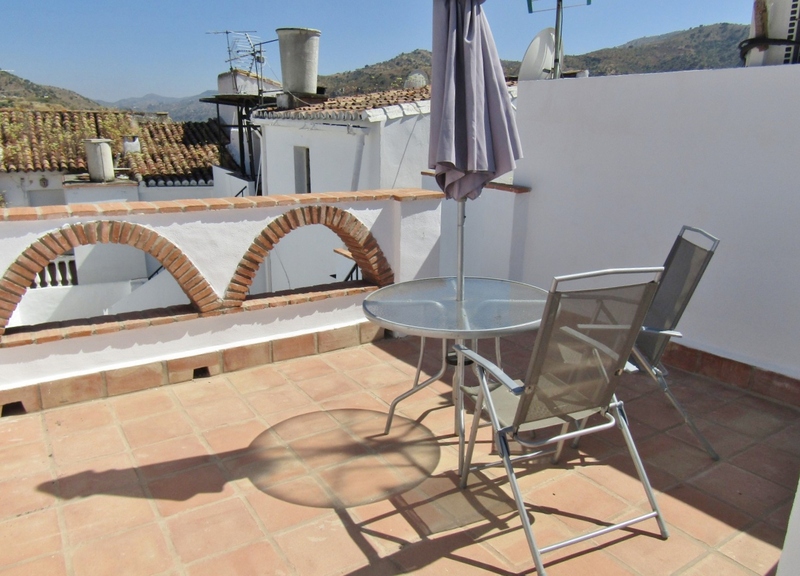 Located on the corner of a quiet street in this pretty country town, 35 minutes North of Malaga, this beautiful village house is much more of a home than just a house! 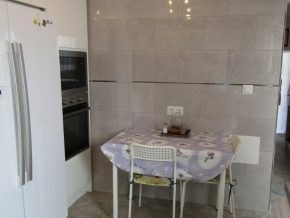 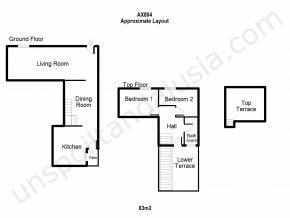 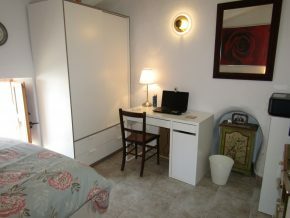 It offers comfortable, spacious accommodation with great outside space. 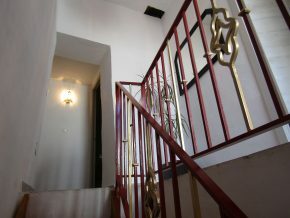 The front door (with it’s off-the-street, elevated pavement, a place most of the locals use as a front terrace), leads into a spacious living room (8 x 3m), a perfect room to relax in, or entertain friends. 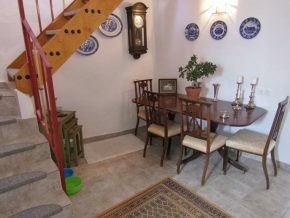 An opening leads through into the dining room (3 x 4m) with stairs leading to the first floor. 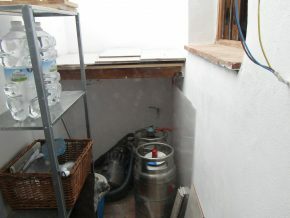 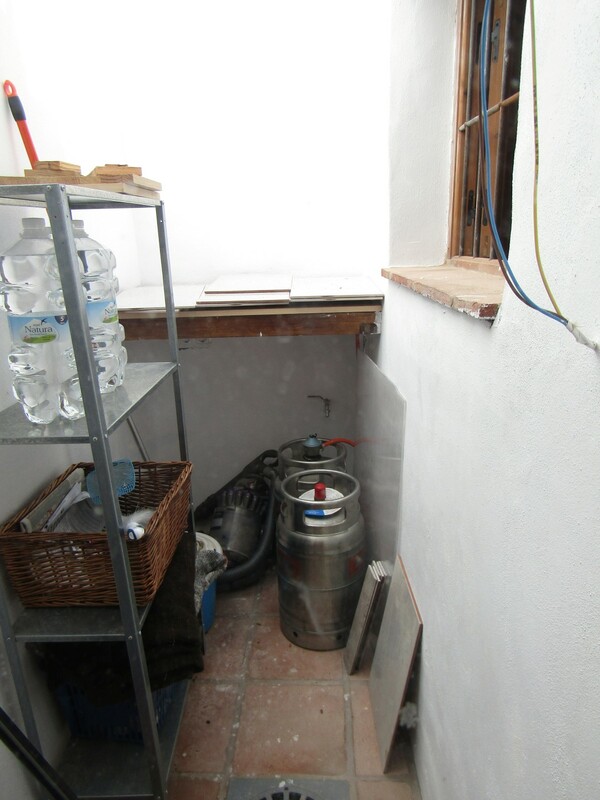 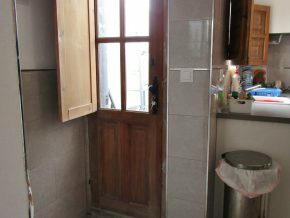 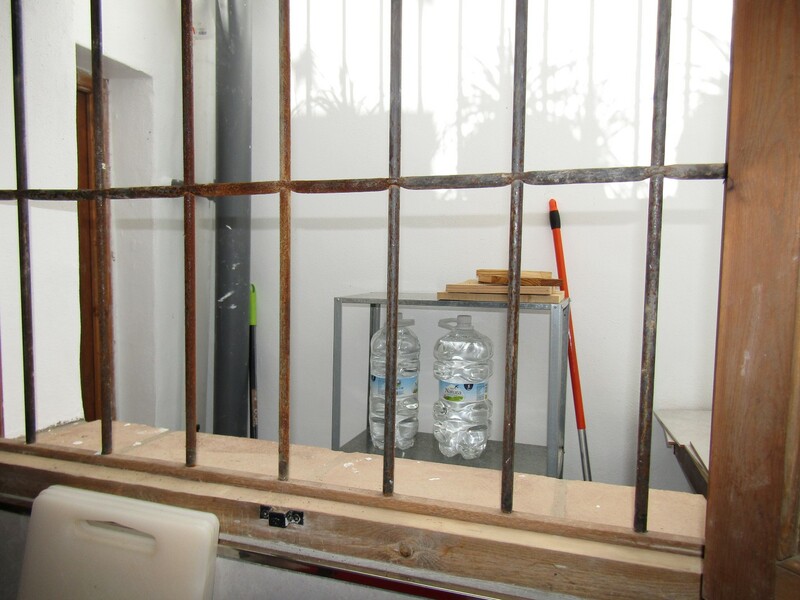 Beyond the dining room is the ktichen (3.5 x 3m) and a door out to a small patio (2 x 1m) for letting natural daylight into the rear of the house and an ideal place to keep cleaning supplies and equipment. 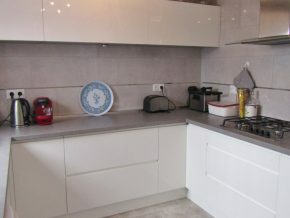 The kitchen is beautifully fitted and perfect for modern day life. Taking the stairs, we reach the landing. 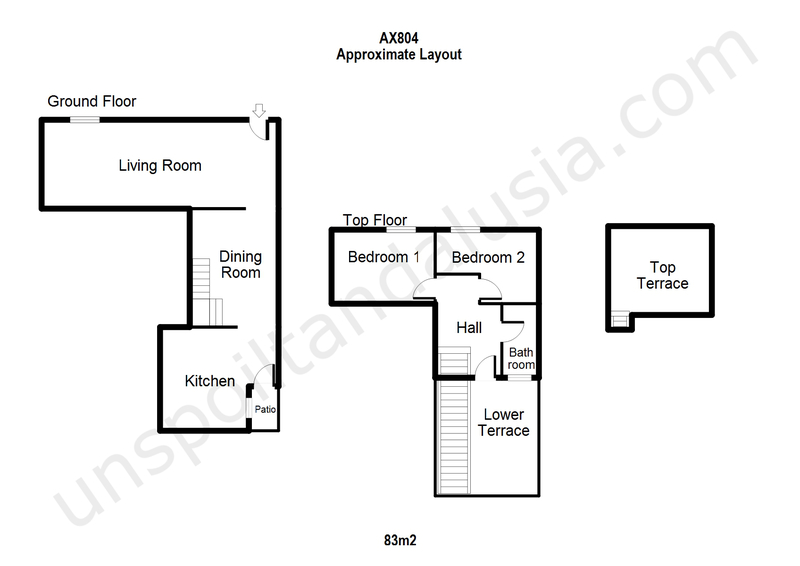 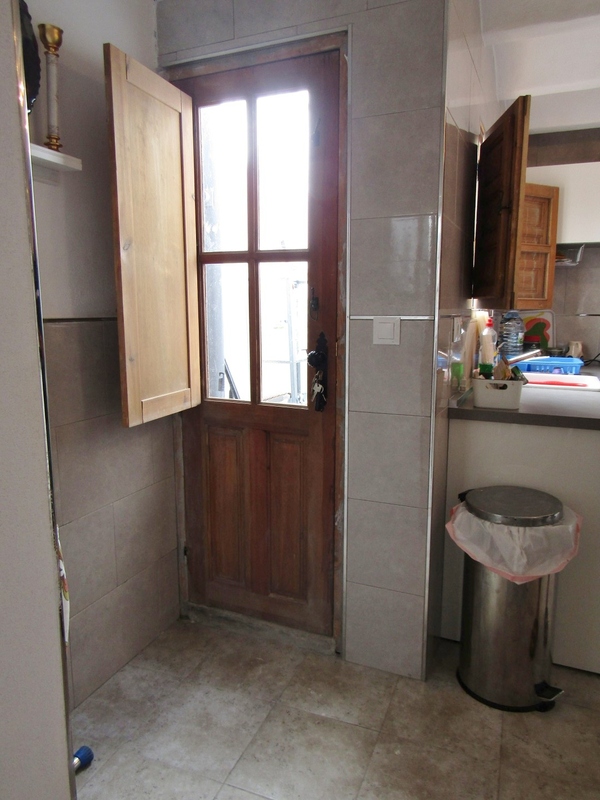 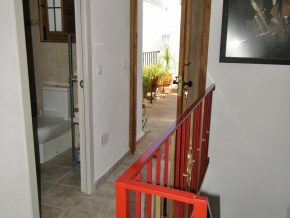 Straight ahead are the two bedrooms, (3.5 x 2.5m and 3.5 x 3m) both with windows over the street. 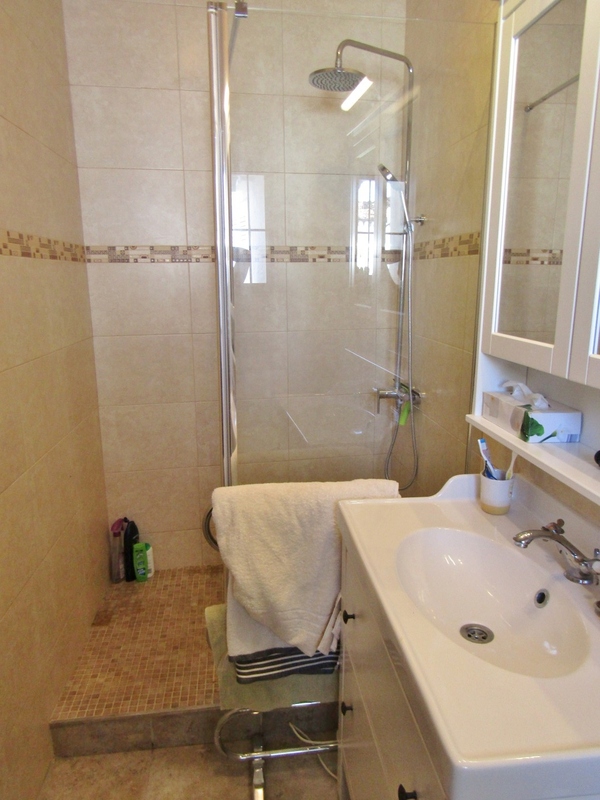 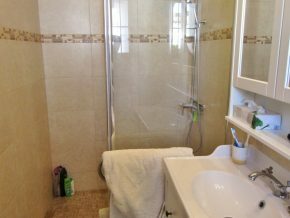 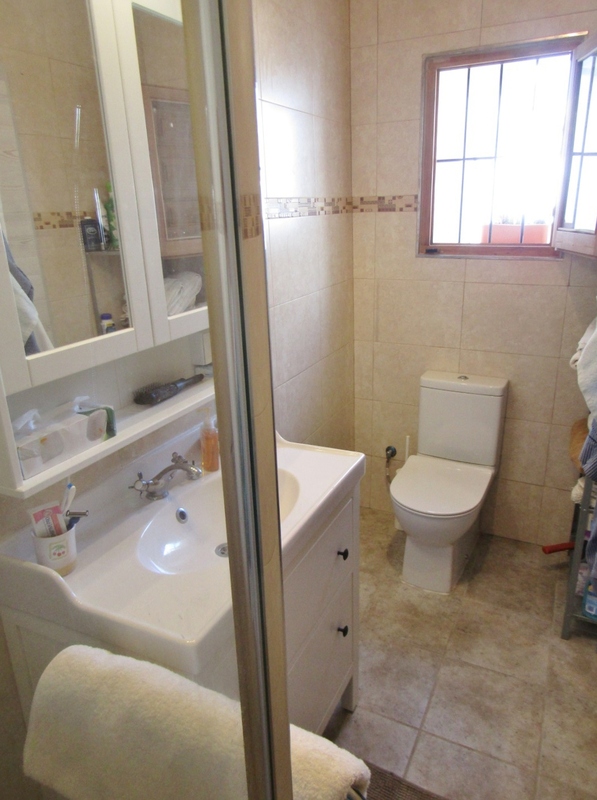 Opposite the stairs is the bathroom (3 x 1.25m) beautifully fitted and tiled, with a large walk-in shower and window over the terrace. 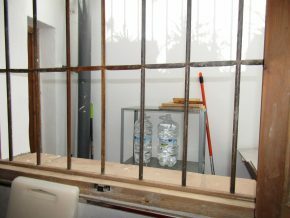 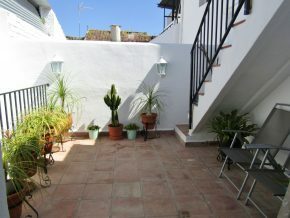 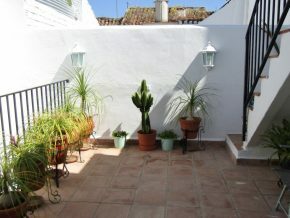 Past the bathroom is a door to the lower terrace, a totally private area (4 x 3m) ideal for creating a potted plant garden! 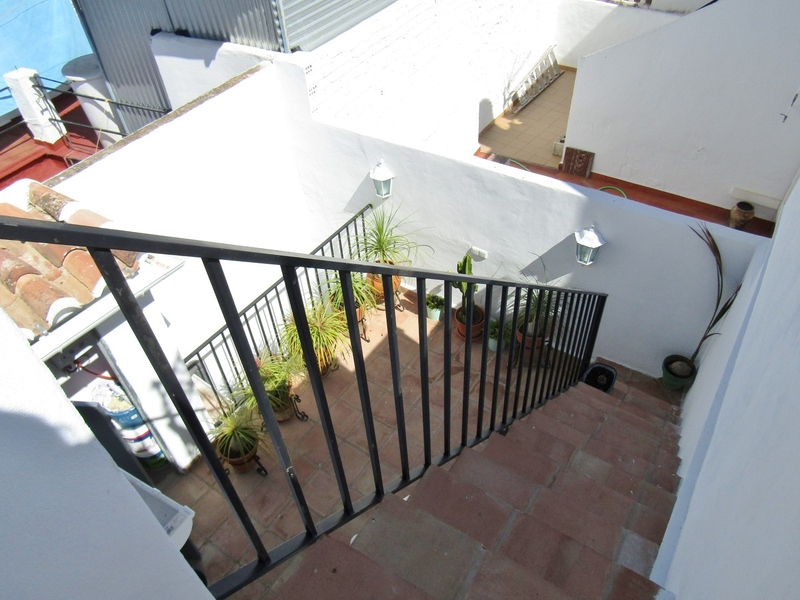 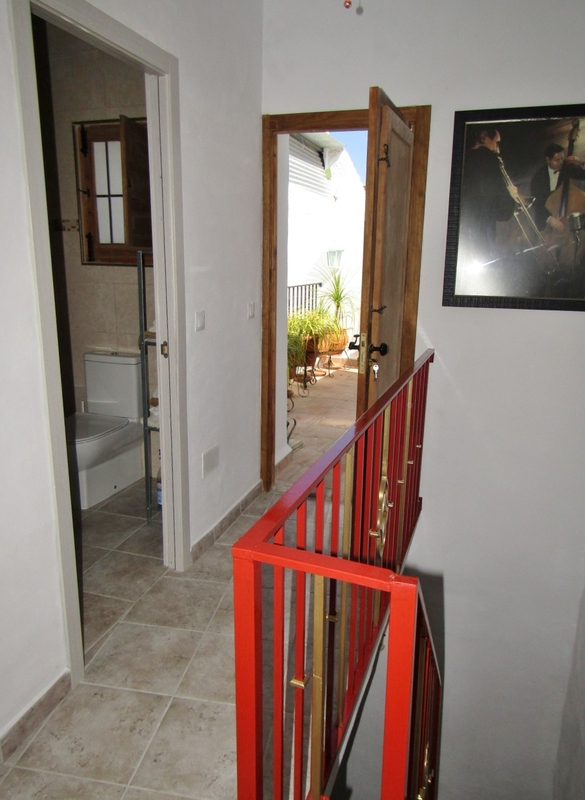 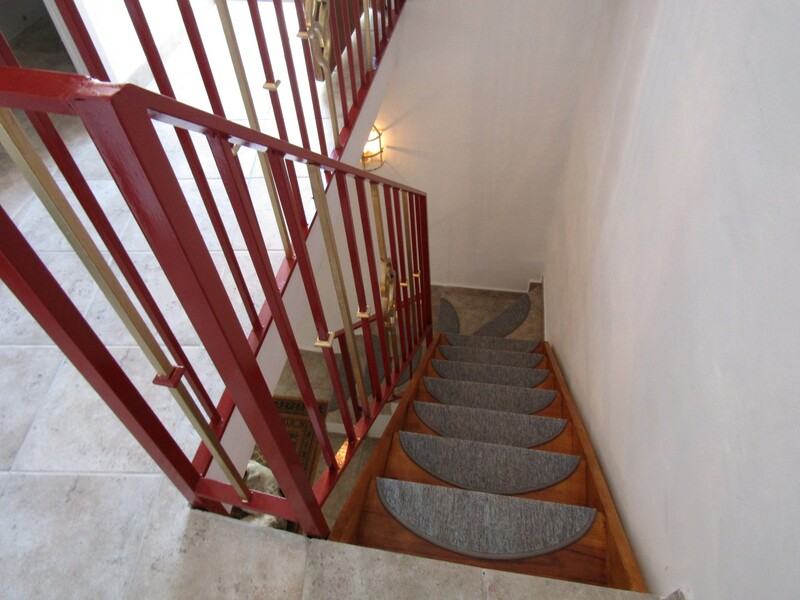 Steps lead up from here to the top terrace (3 x 3.5m) with arch details and a fantastic panoramic view over the village, countryside and mountains. 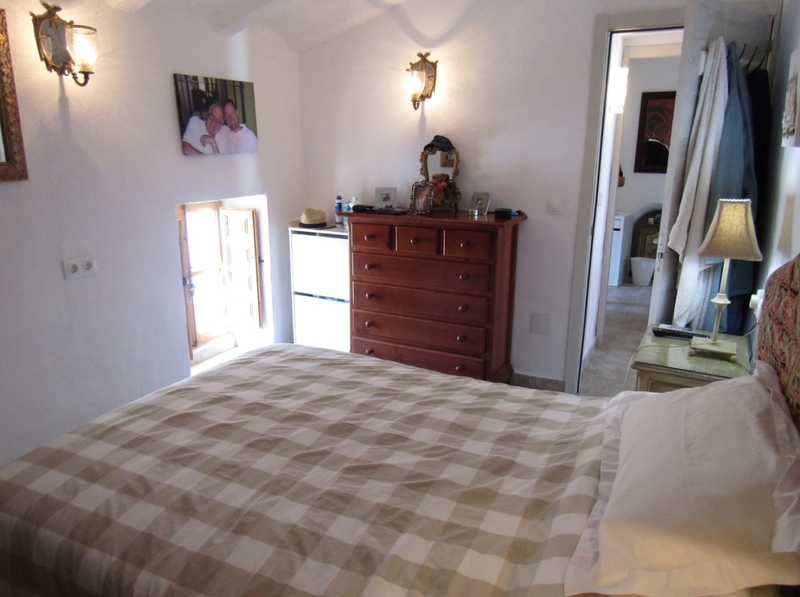 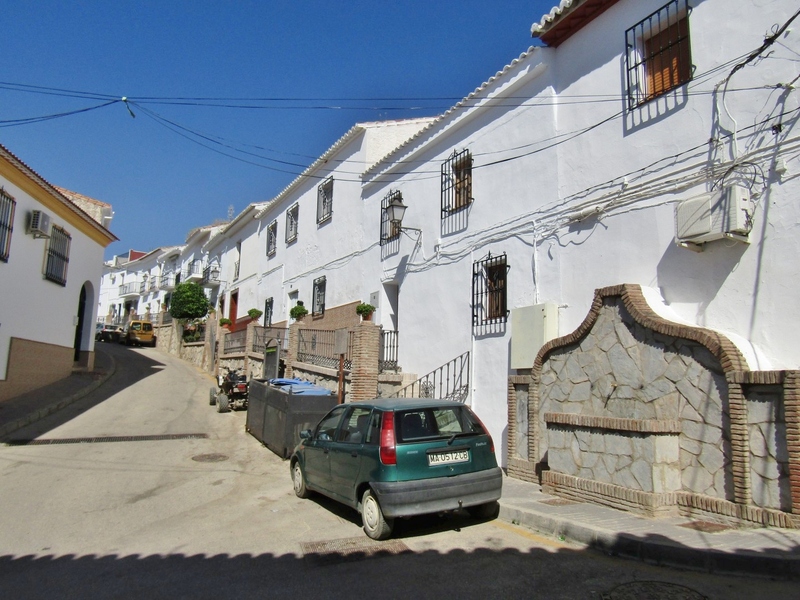 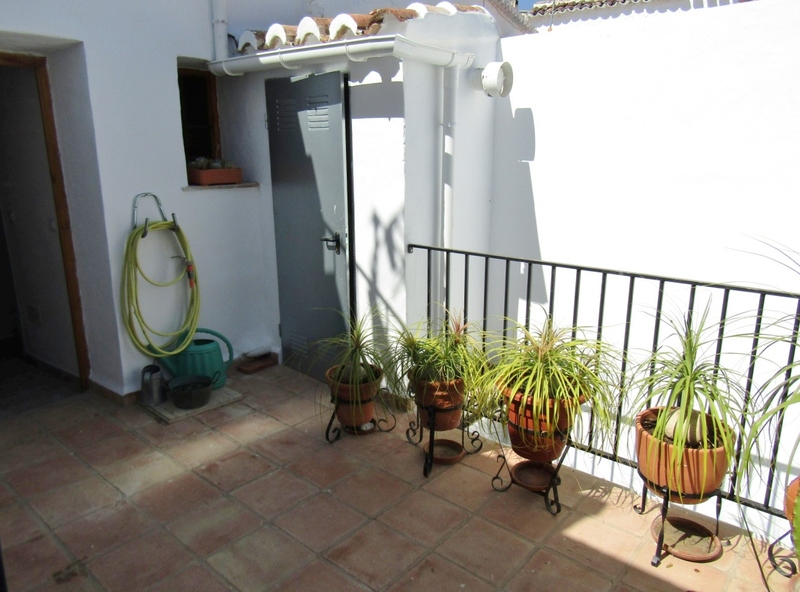 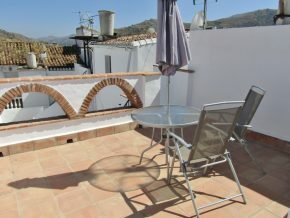 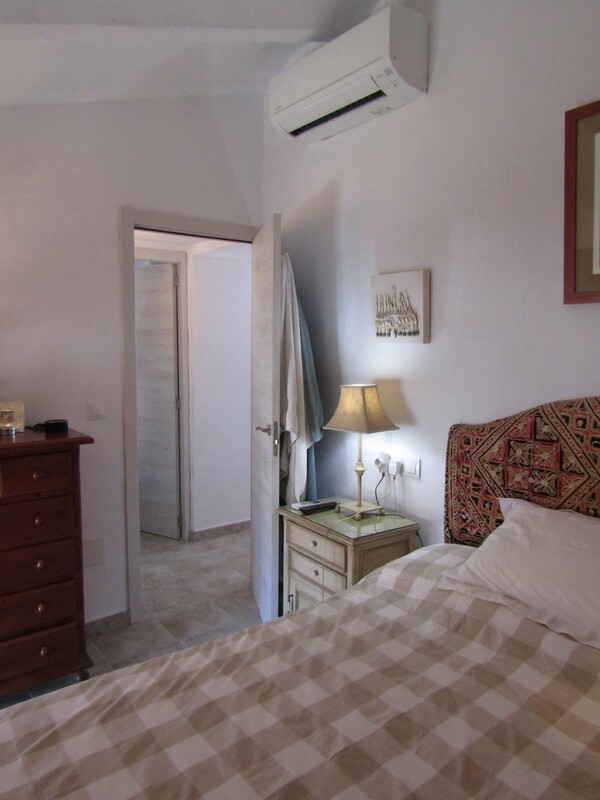 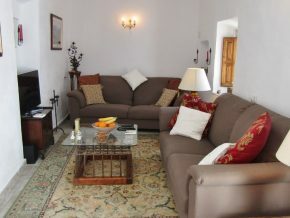 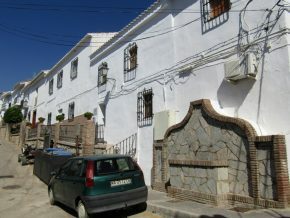 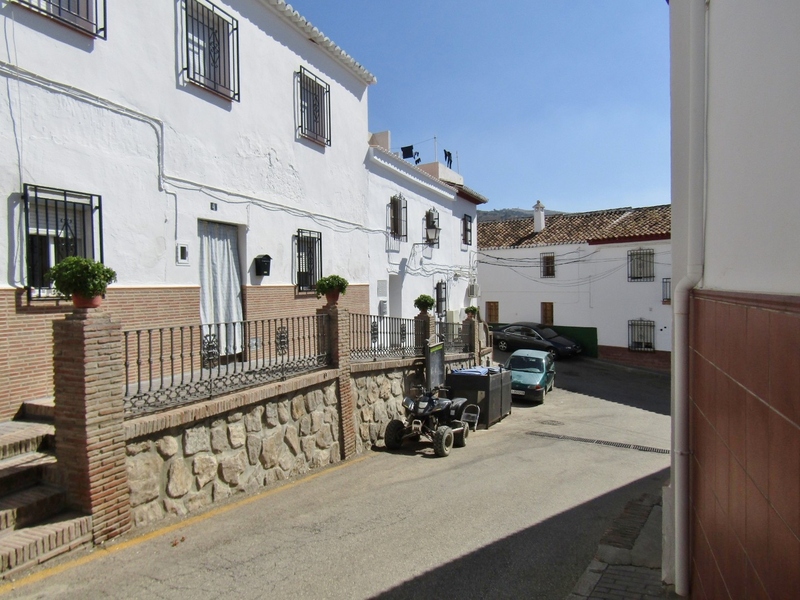 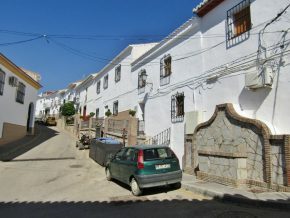 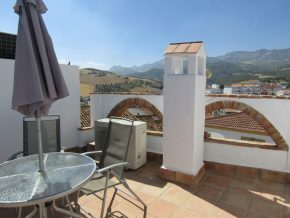 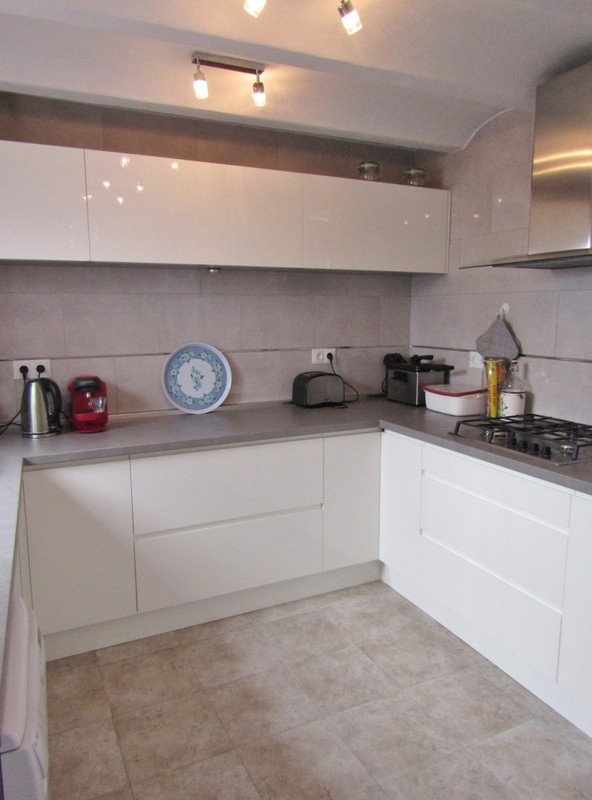 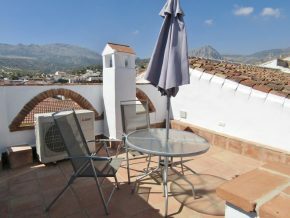 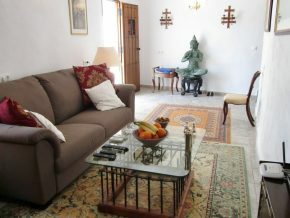 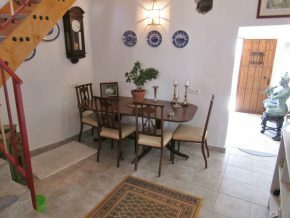 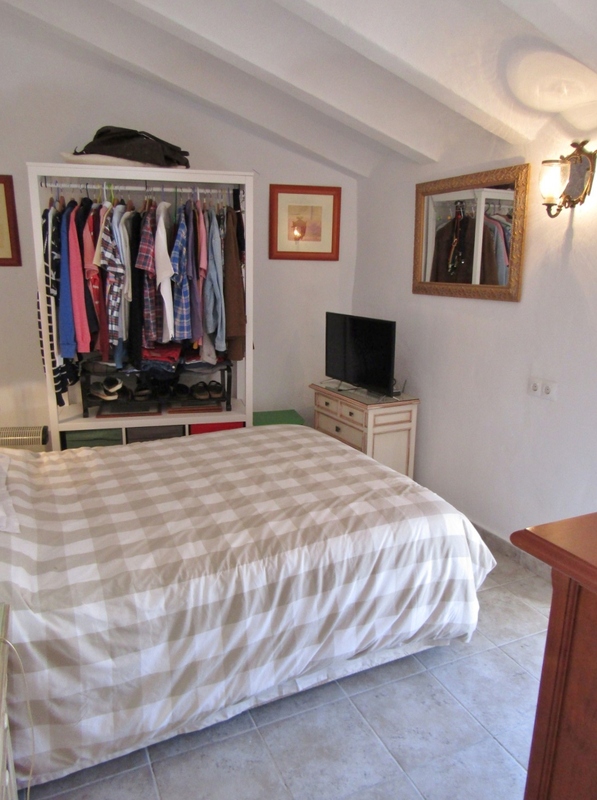 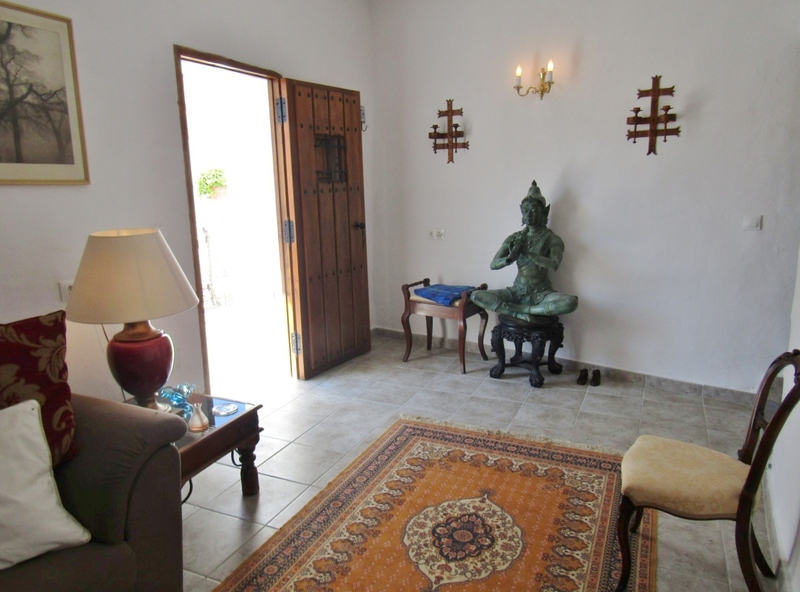 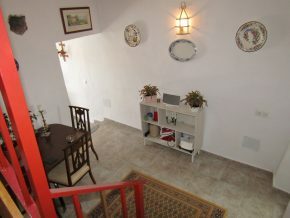 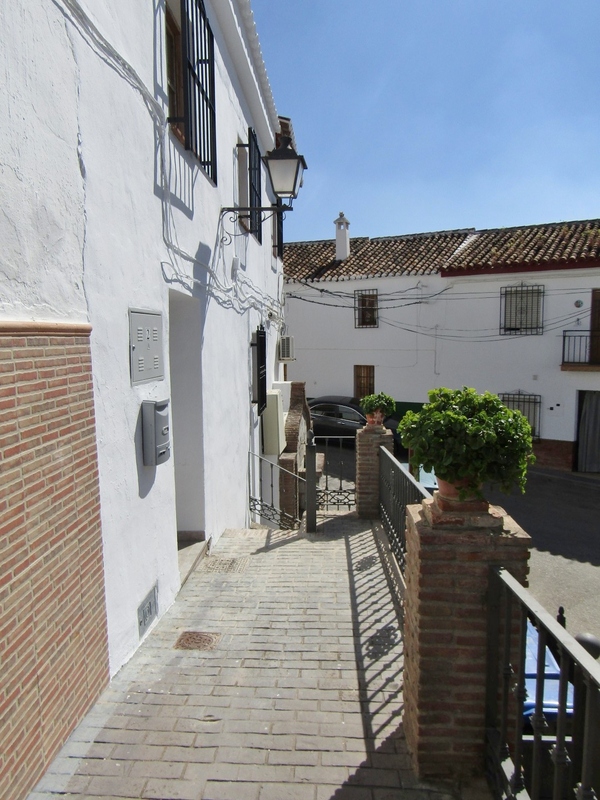 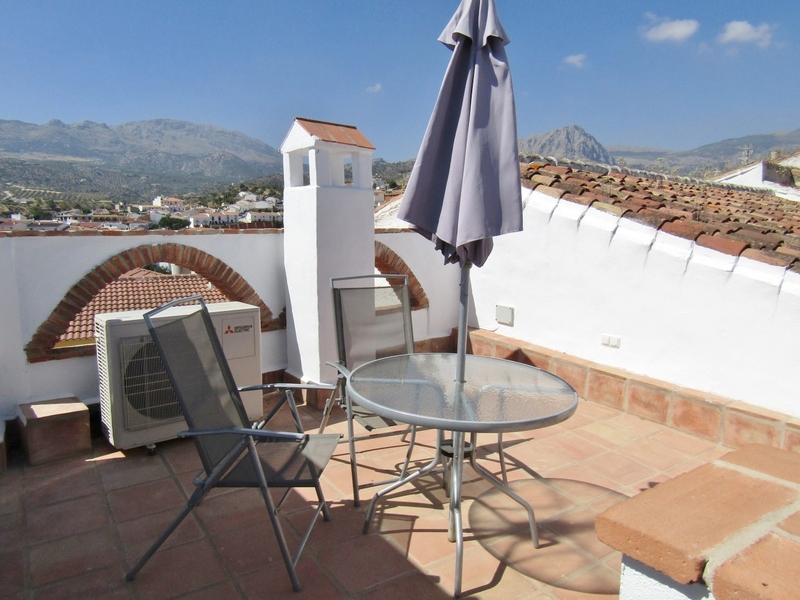 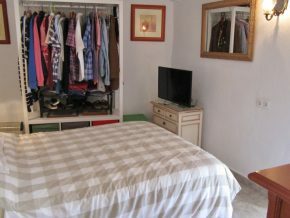 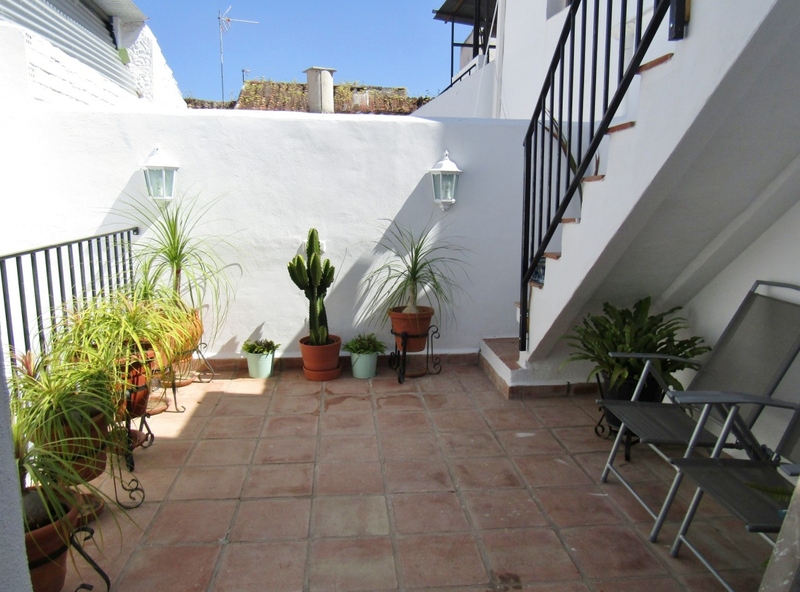 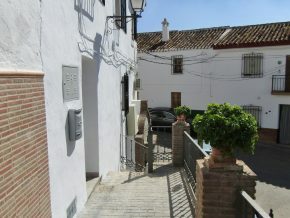 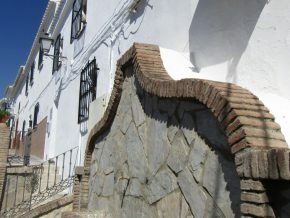 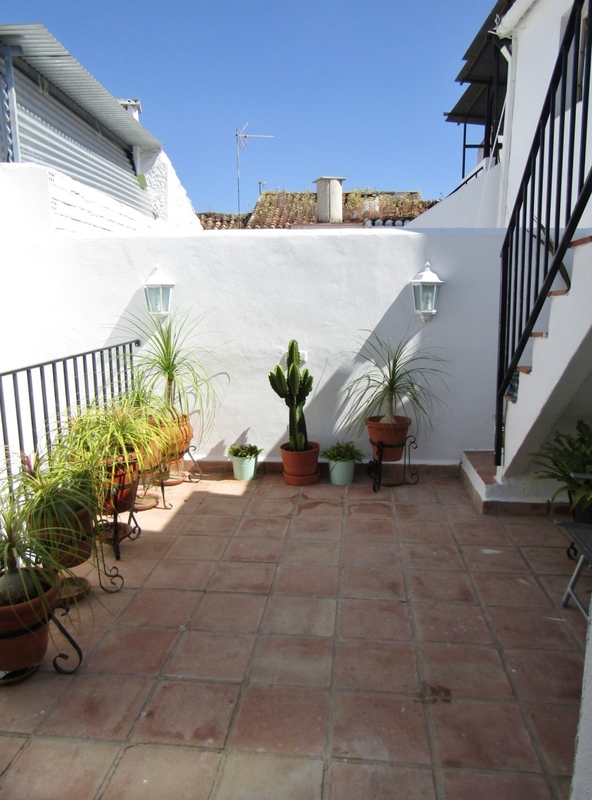 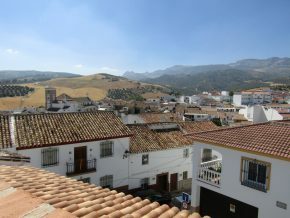 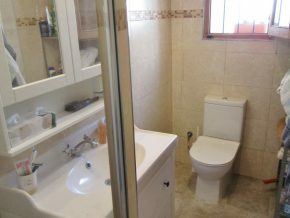 A truly lovely property that is light and bright, comfortable, quiet and everything one could wish for from a Spanish village house, in a thriving, busy little country town. 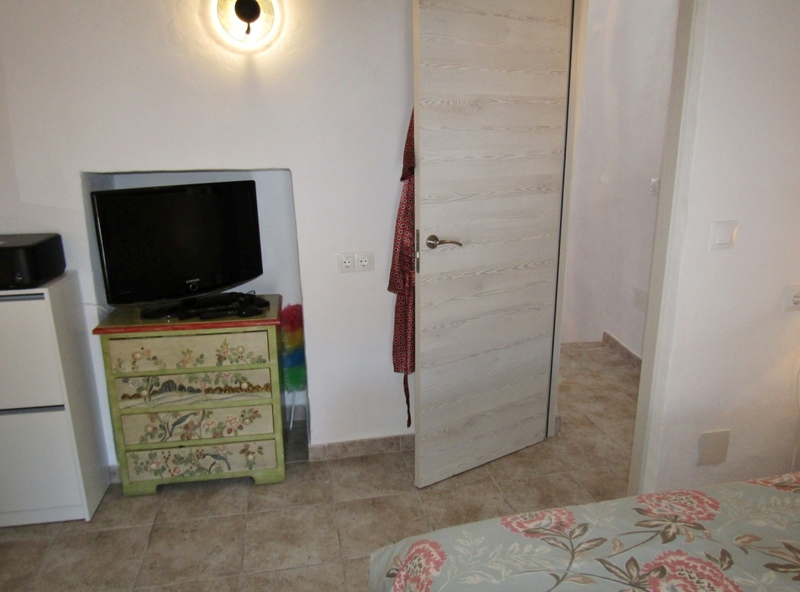 – Council tax/IBI: 105€ p.a.